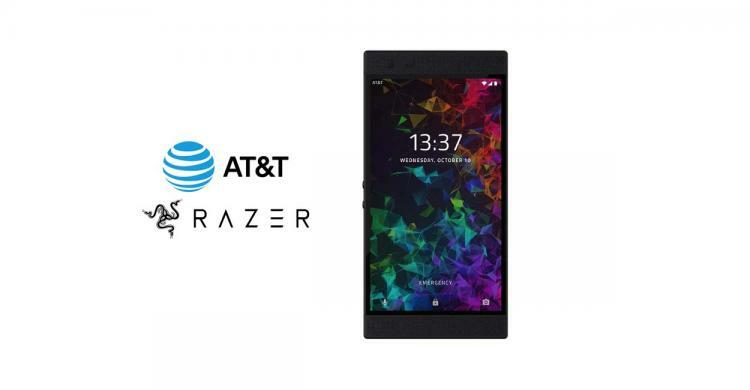 Razer and AT&T announce a partnership to distribute the upcoming Razer Phone 2 gaming smartphone on the AT&T website and select AT&T retail stores in the United States. Hence, AT&T will be the first US carrier of the Razer Phone 2. Distribution at select exclusive AT&T retail and mobile stores commences on November 16, 2018, with the initial launch in the West Coast AT&T stores equipped with unique Razer displays. The Razer Phone 2 will also be available online at att.com. On AT&T NEXT, the Razer Phone 2 is $26.67 a month over 30 months. The Razer and AT&T collaboration bring together two industry leaders in gaming and mobility to accelerate the growth of mobile gaming in the United States. The mutual focus is on creating great experiences for mobile gamers by promoting mobile esports successes, integrating home Internet and network capabilities for high-performance gaming, and educating the gaming community about developments in the mobile gaming industry. The Razer Phone 2 is a gaming phone and productivity powerhouse powered by the Qualcomm Snapdragon 845 processor. It features vapor chamber cooling to keep it cool even under heavy gaming use. The Razer Phone 2 features true 120 Hz display that delivers silky-smooth gameplay without lag or stuttering. The 5.7” IGZO LCD 1440x2560 display has a 50% brighter screen than the previous generation Razer Phone. The Razer Phone 2 packs a long-lasting 4000mAh capacity battery that supports Qualcomm QuickCharge 4+ via USB-C that charges the phone from a flat battery to 50% charge within just 30 minutes. The Razer Phone 2 has also been tested for IP67 resistance to dust and water. The Razer Phone 2 is the only gaming phone officially certified by Netflix for HDR (high dynamic range) video content and Dolby Surround 5.1 audio content.